The Matson Building was completed in 1924 as headquarters for the company that is still a major player in freight shipping in the Western Pacific, although its glory days of luxury passenger service to Hawaii are past. 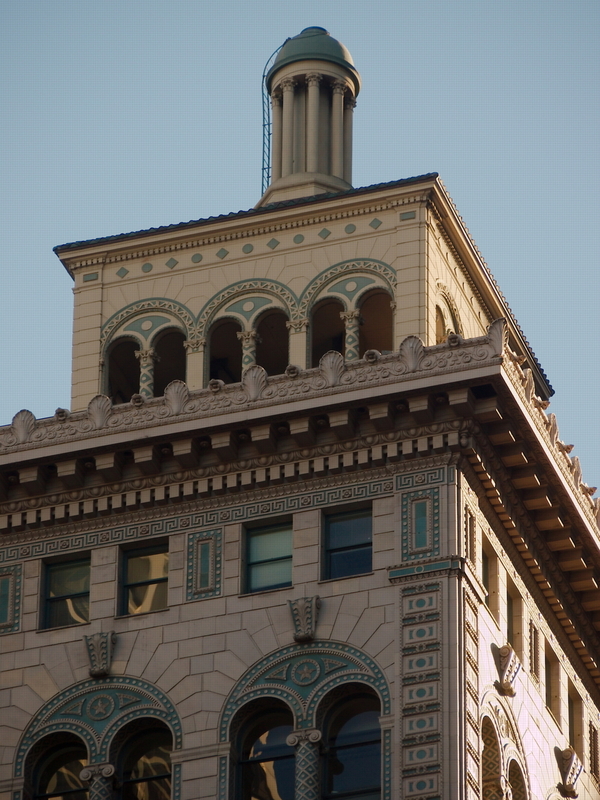 As with many Bliss & Faville buildings there was extensive use of decorative terra cotta. In this case a glossy bone color with highlights in a lovely sea blue. I think it is this blue, combined with the variety of nautical elements in the decoration, and the splendid little cupola that makes it my favorite of their works.